The CCMC distribution of the SOHO/COSTEP forecasting tool provides two output graphs displaying proton intensities. These are updated approximately every minute. The top graph shows the actual measurements of protons. Symbol keys are given here as well. The scatter in the displayed data results from statistical uncertainties and appears particularly large when the proton flux is very low. 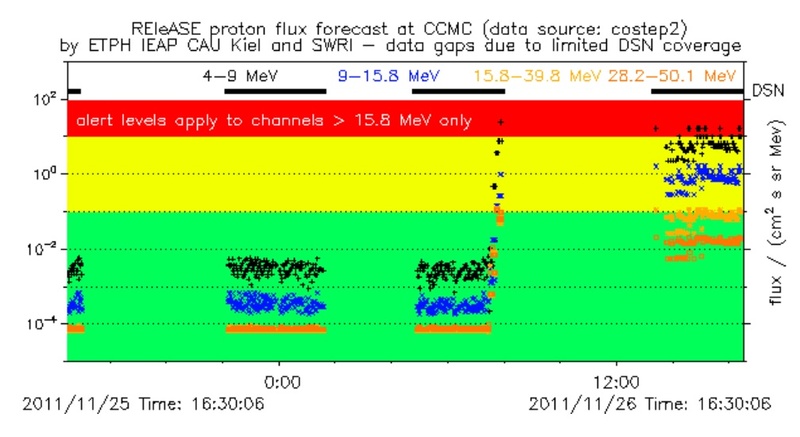 The bottom graph shows the 1-hour forecast intensity for protons at 1 AU. Symbol keys for forecast proton energies are provided on top. Only at times that data is displayed at the very right hand side of the graphs, the observations and forecasts are live ("LIVE DATA UPDATE" or "LIVE FORECAST" appear in the respective plots). Live forecast requires SOHO to be in contact with DSN. Out-of-DSNcontact periods are the main cause for this tool not being live all the time. 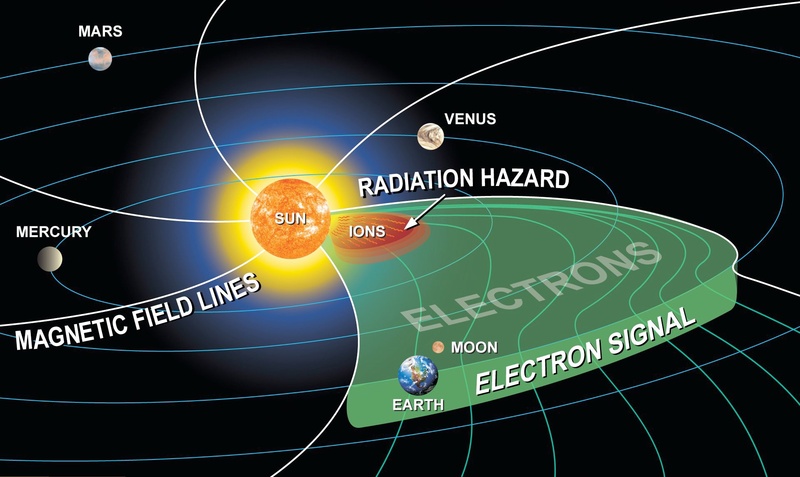 Hazardous proton exposure for explorers on the moon or in transit beyond the Earth's protective magnetosphere is imminent at times when the forecast flux of beyond 15 MeV protons reaches the yellow or even red intensity range. Interpretation: The forecast intensity refers to solar particle events with particle release very close to the Sun. Only for this type of event, a forecast utilizing the speed advantage of electrons over protons is possible. Other events occur in which particles are accelerated in the interplanetary medium, but these lack a reliable advance electron signal. For these events, nowcasting, i.e. 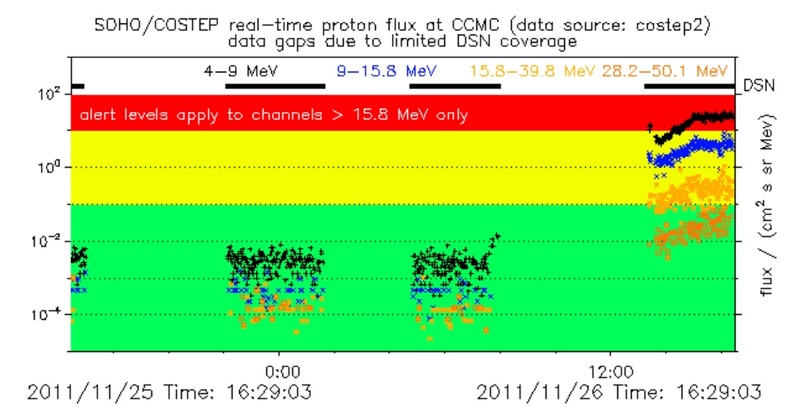 looking at the real-time measured flux, is mostimportant. Electron fluxes measured by the SOHO COSTEP instrument.